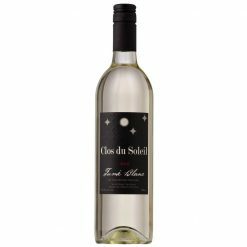 Clos du Soleil’s Fumé Blanc is a full-flavoured, aromatic take on Sauvignon Blanc and Sémillon. A beautiful pale gold, with the subtlest green tint in the glass. The nose of this wine immediately envelops the taster in ripe fruit aromas of pineapple, passion fruit and lime. On the palate the wine is full bodied and multi-layered, incorporating flavours of tropical fruit including pineapple and passion fruit, with characteristic varietal flavours of grapefruit, as well as a subtle hint of oak. Crisp and refreshing, this is a wine that is easy to enjoy by itself, but pairs wonderfully with roast poultry, soft cheeses, and is a knock-out with all kinds of seafood! 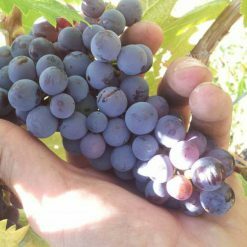 The grapes for this wine are harvested by hand at peak maturity, and the pressed very gently, whole cluster, extracting only the finest juice. The juice is settled before fermentation and then fermented slowly at cool temperatures in stainless steel with only a light amount of oak contact in order to broaden the mid-palate of this wine. 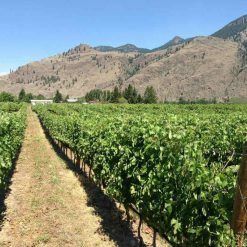 The Sauvignon Blanc is vinified separately from the Sémillon, and then blended prior to bottling, in order to produce a wine that is rich, rounded, and aromatic with a very ripe fruit profile.